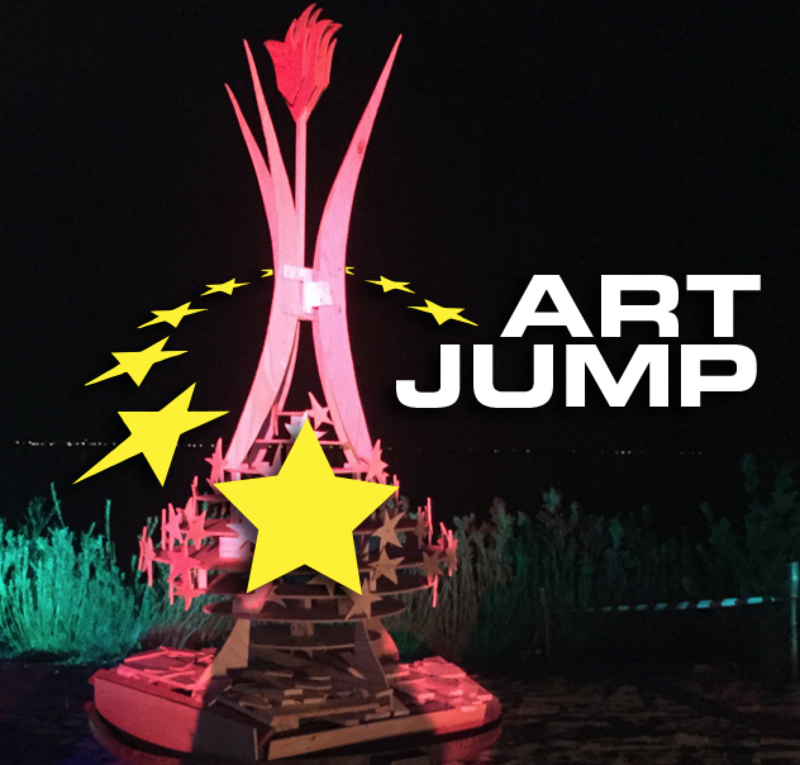 The ArtJump is the yearly art funding project of Burning Man Netherlands. Through this grant we celebrate and stimulate the European exchange of art, inspired by Burning man and or related to the Ten Principles. By providing transport grants to –existing– Burn-inspired art, we hope to spread participatory art around Europe. Our ambition of the ArtJump is not only móre exchanges of inspiring art but also to increase civic involvement and building bridges with communities in the default world. What does the ArtJump do? The name says it all: it is a jump(start) for getting your art into Europe. The grants will fund artists who take their art on tour through (their selection of happenings) in Europe. Therefore we call it the ArtJump. No rocket science here. ArtJump grants are designed to specifically cover a fixed amount of transportation costs for existing art pieces. The grants will allow you to take your (existing) art on a tour through Europe, so you can reach a bigger audience and more people can enjoy these wonderful pieces or performances. After two successful editions we are gearing up for this year’s ArtJump. Check here for all the essentials! One of the most recognisable aspects of ANY burn event, is the abundance of amazing and inspiring art. Burning Man Netherlands wants to support the artists behind these art pieces, to share their art with a greater audience across Europe. Any artists with an existing art piece that is participatory and interactive, can apply. A professional (international) jury of dedicated burners and artists are given the daunting task of judging and grating the ArtJump awards. Do you want to be one of the artists that has a chance to go on a road trip with your art? Applications are due March 20, 2019. Register you art here to apply for the Grant. The Grand Final of the ArtJump 2019 will be held on Sunday April 7th. We will have a Sunday afternoon get together on a rooftop with music, great burner friends and the presentation of the ArtJump Grants 2019.